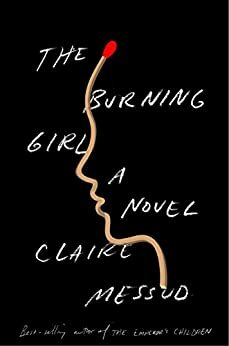 Claire Messud on Her New Novel, "The Burning Girl"
So many canonical books about adolescence – J.D. Salinger’s, for example -- are written about boys. If they’re about girls, they’re concerned with first experiences of romantic love. Claire Messud’s new novel, The Burning Girl, is something different. It’s a story about what happens to young women in our culture as they grow up. Romantic love is just one of the several kinds of bonds that develop and change over its narrative – and really, it’s the least significant. Far more intense and intriguing is the passionate friendship between silly, funny, beautiful Cassie, and serious, studious, more introverted Julia, through whose voice the story is told. And then there are the relationships these two girls have with their mothers, whose love for them also alters over time. In The Burning Girl, Messud plumbs these female loves, and looks at the way narratives – those we read, and those we tell ourselves – can either free us or lock us into versions of ourselves we don’t consciously choose. Amazon Book Review: Claire, I’m so grateful to you for writing this astonishing novel. As the mother of a teenage girl, and as a former teenager myself, I thought your depiction of the intense friendships of that age, especially within the context of family relationships, was profound. I’m going to give this to my daughter to read, because I think she will really get something from it. 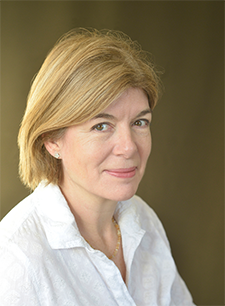 Claire Messud: Thank you so much. I have a 16-year-old daughter, so you and I both been living through that strange thing of watching them go through that time and remembering your own version of it. It’s a very particular experience. In some ways, I feel that I wrote the book for you! I think more than other books that I’ve written I’m aware that there are other readers for whom it may seem remote. Your last novel, The Woman Upstairs, involved a female friendship, but focused on middle-aged adults. What led you to choose a young teenage protagonist, for this, your sixth book? For the past four years I’ve been living vicariously, or alongside, girls’ adolescence, which brought up all sorts of things for me. There were stories from my own youth that I’ve carried around in my head for a long time, trying to find a way to tell. So there was a sort of marriage of longstanding ruminations and more immediate witness of just watching the ways in which it seems being an adolescent girl hasn’t changed. You know, there are lots of ways in which it has changed, and then there are other ways it hasn’t – in the emotional ways, it hasn’t at all. You had a peripatetic childhood; could this novel have been written about girls living elsewhere than the Unites States, or is there something distinctively American about it? The sort of passionate friendship that’s in the passage between childhood and adulthood is common to many cultures – I don’t know that its common to all. Place is a very important factor for me. Because, you know, we are who we are because we are where we are, when we are. Even if these girls’ family dynamics were similar, if their temperaments were similar, if they were living in Paris or, oh, St. Kitts, or Taipei, each case would be so different. It would change who they are, and that in the end would also alter [the story]. In this book, your characters worry that girls like Julia or Cassie will be harmed by predatory men. There’s this constant awareness of the threat of sexual violence. But the actual harm done to Cassie has a totally different cause: overly restrictive, punitive parenting. Are you suggesting that we worry about the wrong things, when it comes to girls growing up? Well, is something I really became a little bit obsessed with in the time when I was writing the first draft of the book. I think our cultural narratives obsessively return to the narrative of the vulnerable female body being preyed upon. We return to it obsessively in different ways, whether it’s in police dramas on television or the movies: there is never a dead male body. In a conservative Muslim culture at the age of 13, girls who may have been able to run around in shorts and tank tops are covered up. That’s something that happens when you hit puberty that doesn’t happen in our culture. If anything, girls’ clothes get a little skimpier. But the reality is we put an invisible covering on girls in a different way, which is to put that responsibility for their safety on girls themselves. And we do that by frightening them. And in the same way that we do that now with children. You know when I was a child, kids roamed free. I remember when our children were younger there used to be every so often pieces in the newspaper about some bohemian parents who let their 6-year-olds wander home from school 2 miles across town and someone would stop them and say, “What are you doing?” because that thing that was culturally acceptable when I was young is no longer. We frighten our children and frighten ourselves, even though I remember reading at about the same time that there were fewer incidents of child abduction than there were 30 or 40 years ago. But I think we really do that to girls: we fear for them and we make them afraid. And that’s a narrative of containment which isn’t an actual hijab which functions in an analogous way. Cassie, whose behavior is actually quite typical for a girl her age, gets labelled a “problem” by her mother’s new, conservative boyfriend, the loathsome Anders. Instead of being seen as the mildly, perhaps age-appropriately, rebellious girl, she is almost forced into a bad reputation by that label. The community, as it were, recognizes two or three things, so they say, “We know this kid. We can place this kid, this is the problem kid.” So it’s happening at home with her, but it also happens in the broader community. So that’s something that interests me too. We have these different narratives and we try to fit people into them without looking closely at the actual individual experience. You show how these two friends, Cassie and Jullia, who start out very similar, are gradually viewed as having different prospects in life. This happens in tiny steps, such as when a teacher decides Julia should learn public speaking, because she‘s a good student. Cassie gets no such encouragement. You just see how the tracking begins. Demographically they’re not so different. They’re both middle class kids. Cassie has grown up with just her Mum, she doesn’t have two parents, it’s true, but her mum has a good job, she takes good care of her daughter. It’s not as though Cassie’s circumstances are perilous. Yes, their situations are different. And Julia is more privileged than Cassie is in a number of different ways, but I didn’t want it to have a sort of … different sides of the tracks feeling. I didn’t want it to be something where it was an automatic given that Cassie’s life would be difficult. One of the ways Julia is privileged is that she has a host of cultural references to apply to her life: from Picnic at Hanging Rock, to fairy and folk tales, to Greek myths and even some pop culture figures, like Sofia Vergara. How helpful are those stories to her, in finding her way through experience? I think they are defining. This is a thing I’ve written in an essay: I actually think we are as much made up of our literarily lived lives as of our literally lived lives. What we read, and the stories we take in, and the narratives that we internalize define us as much as where we go to school or what our home life is like. It’s very influential and I think about that often as a parent, because the more narratives you offer to your children the more they have to choose from and the more places they can find glimpses of someone they might recognize, someone they might want to be, a path that seems intriguing. The more narratives, the more options. Language and knowledge, those things give us power -- and by power, I don’t mean money, I mean freedom. Julia has all these different narratives to draw on, whether it’s a fairy tale or whether it’s Sofia Vergara or Georgia Jagger or whatever, having these different narratives to draw on gives her more alternatives and more ways of seeing the world and you know, more is more. It’s hard to write a book that’s very clever, that’s in a way analyzing itself as it goes along, and also make it full of love. Does one come easier? Do you have to patch the other in, or is that just what it is to be a good writer, that you know how to do both things at the same time? You know in a way, I don’t know how to answer that but I might answer a different question. You know every time you sit down to write a book, it’s different and you’re setting yourself a set of challenges -- hopefully not the same set of challenges. This book seemed almost impossible, so that’s why I’m so moved by your response. Because what I was trying to do, on one hand, was to write a very simple, straightforward story and at the same time try to say not simple things through it or while writing it. Almost like a piece of jazz music having a very simple melody and a complicated riff going on. But there’s the risk of course that you succeed in neither. I feel enormous compassion for pretty much everyone in that book. Well, not everybody, I don’t have a lot of compassion for Anders, but I don’t believe he’s evil either, he certainly isn’t evil, at least as I understand it, in the way Julia imagines he might be. He’s not an easy guy but he’s not a child molester. Other readers may have a different experience. I wanted it to be open. And it’s obviously in reality more complicated and involved than that, and the center cannot hold, but Cassie’s impulse even in that time is a generous one. And what I realized was that the person I believed Cassie to be would have that response. And would be generous in that way, and would be loving of her mother even in a difficult circumstance. I was like, “Wow, I really believe that and I’m not forcing that on somebody. I really believe that about that character.” So in that sense, the warmer side arose out of the people and the riffing, which is hopefully not muddy or murky, but hopefully does not undercut the melody, that’s coming from me. There’s the story and then there’s what I would hope to thread through the story or riff in the story. The story at the center is hopefully simple. My last question is about different media for stories. At the end of the book, Julia imagines a film version of Cassie’s life, and the possibilities for Cassie in that film. Previously, Julia has always imagined Cassie in the context of a story. What is it about film that makes imagining a happy ending easier? Is that a genuine gesture of hope or is it a way to make readers feel a little better at the end? I think it’s open for you to read as you will. I’m an avid film goer and film watcher. It’s a medium that I love and also respect enormously. But we make a mistake to equate literature and film. They’re very different. There’s that Nabokov line about [literature being] the writer and the reader climbing the mountain from different sides to meet at the top. There is an imaginative involvement that the reader has. The read creates the book for themselves. Each reader has a different experience and some books leave more for the reader to create than others do. Some are more directive. But in any event, you as the reader create more of an imaginative experience than you do when you go to a film. By and large -- I mean, there are some art films where this isn’t so much the case. But by and large, film presents you with a version for you to accept. But a reading experience requires much more engagement from the reader and that’s that jazz analogy. Creatively, the potential there is pretty great. It’s also pretty risky, it can all go awry, but the potential is pretty great. And as I writer I’m someone who always wants to leave that openness. I don’t want to tell people what to think or how they should feel about characters. I want them to have the experience of the story or the characters and then decide for themselves. The sort of ending that Julia imagines for Cassie is in some way Julia having internalized Cassie’s comment much earlier about Electra, the cat who disappears, “If you have to imagine, why imagine something bad?” -- combined with [the girls’] whole quarry and woods experience—that shared subconscious experience that the girls had that Julia has internalized, and that she externalizes as a narrative in film. It’s not a story that she’s telling. This is something more distanced and fixed and in that sense more positive even, [as if] once it’s on film, there’s no question: Julia didn’t mess it up, it’s out there on the film. So for Julia to say it’s a film differentiates it from everything else that she’s made up in telling the story even though it’s the most made up thing of all.